Grand National betting history How many longshots have won at Aintree? Since that first running of the Grand National 179 years ago, the race has attracted millions of viewers and attendees. It has also attracted thousands of horses, jockeys and trainers all vying for the title of Grand National Champion. The four mile-plus, two laps and 30 fences race can be unforgiving. Horses need speed and stamina to complete the distance and to make all 30 jumps. Like Lottery in 1839, the horse that win the race must be strong and determined. But not all the winners of the Grand National race have been favourites. There have been plenty of longshots which have won at Aintree. Five horses have gone down in Grand National betting history as longshot odds winners. Only 40 entrants are allowed in the Grand National. The size of the field means that there is likely to be a surprise of some kind on race day. In 2009, Mon Mome became the first – and so far, last – horse in 40 years to win the Grand National after starting at odds of 100/1. Ridden by Liam Treadwell, Mon Mome came into the race having run poorly in the build-up. On race day, however, Mon Mome stunned the crowd. However, no one was more stunned than Mon Mome's trainer Venetia Williams, who became the first female trainer to win at Aintree since 1995. Forty-two years earlier, the Grand National was won by Foinavon. The horse started at 100/1 and was dismissed by many punters going into the race. However, a group of horses stalled at fence 23, which allowed Foinavon to go past them and into the lead. The horse then galloped his way to the win. The 23rd fence is now known as Foinavon. Three other horses have collected wins at Aintree after starting at odds of 100/1. Tipperary Tim won the race in 1928. Amazingly, 41 of the 42 horses that started the race fell, allowing Tipperary Tim to gallop to glory. Unbelievably a year later saw another 100/1 winner as Gregalach defeated 65 other horses. The 1929 Grand National featured the largest field of horses ever with 66 taking part. While Gregalach won at odds of 100/1, fourth place finisher Melleray's Belle started at odds of 200/1. The 1947 Grand National was won by Caughoo. The Irish trained horse started at outside odds of 100/1. Another 100/1 odds horse, Rufugio came seventh in the race. In recent years, a 100/1 outsider hasn't managed to win the Grand National. 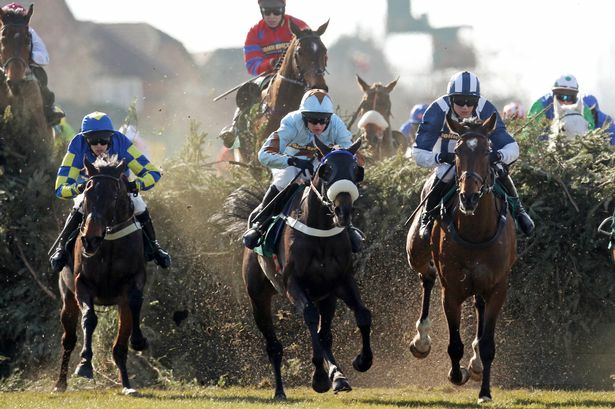 In 2013, a 66/1 winner, Auroras Encore took first prize at Aintree. Meanwhile, two 33/1 horses have galloped to victory since 2009. Rule the World won the Grand National in 2016 and Neptune Collonges did it in 2012. This year's running of the Grand National could see another odds longshot end the day in the winner's enclosure.